I know cider is seen more of a summery drink, but I think there’s nothing better than chilling in front of the telly once Darcy has gone to bed with a refreshing chilled glass. Stella Artois Cidre comes in the most yummiest flavours; Apple, Pear, Raspberry. 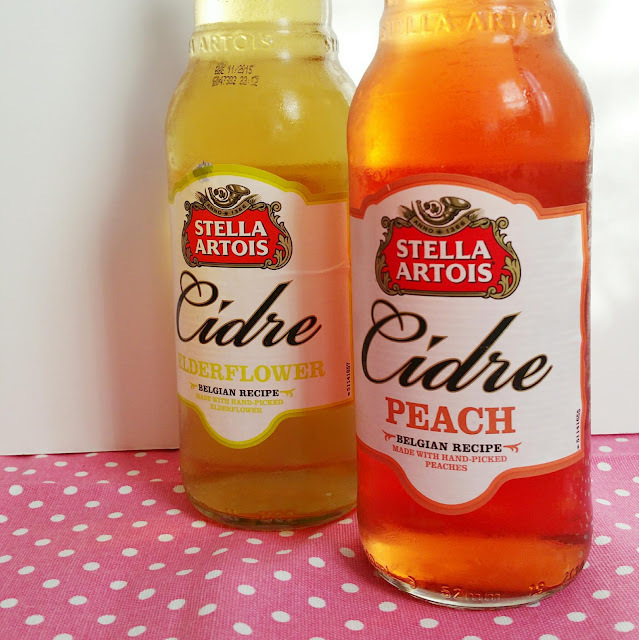 They have recently added two new flavours to their range, Stella Artois Elderflower and Stella Artois Peach. You can find out more about their different flavours here. Each bottle of Artois Cidre is 500ml, 4% vol and is best served chilled over ice, but I normally add fruit to mine because I am extra like that. Elderflower is described as “fresh and lively aroma complemented by crisp apple, star fruit and bergamot tones” Elderflower is one of those flavours which you either love or hate. I personally like it. As you open the bottle the well known floral scent hits you, however, it’s not overpowering at all. It’s crisp, very refreshing and not overly sweet. Peach is described as “fruity taste perfectly contrasted with subtle citrus and rose floral tones, and is satisfyingly light” It has a lovely colour to it and a stunning peach smell. 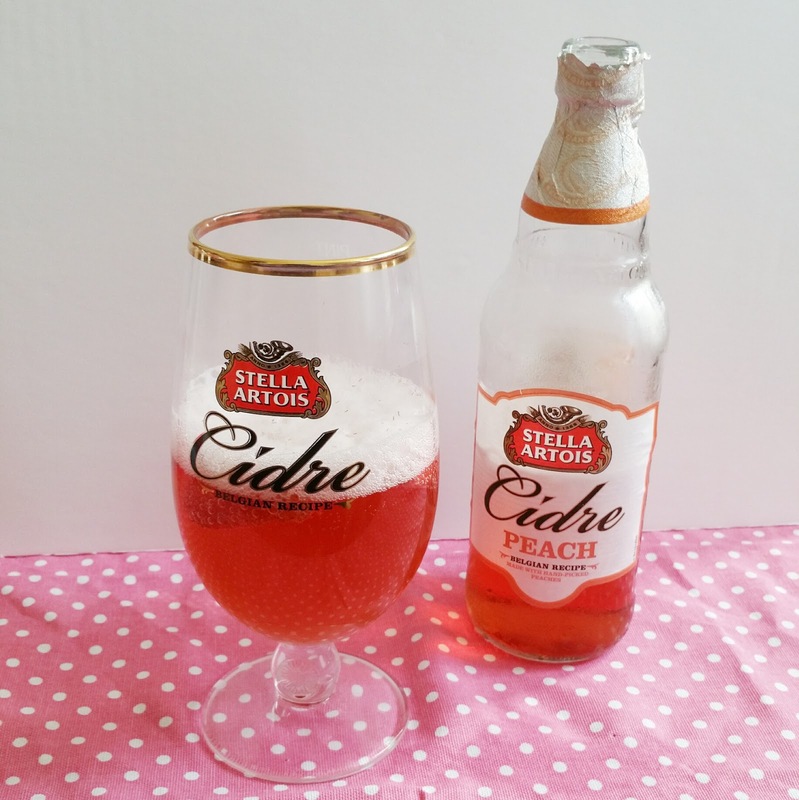 It has peach juice rather than flavouring which really gives it a true fruity taste. Out of the two, peach was definitely my favourite! 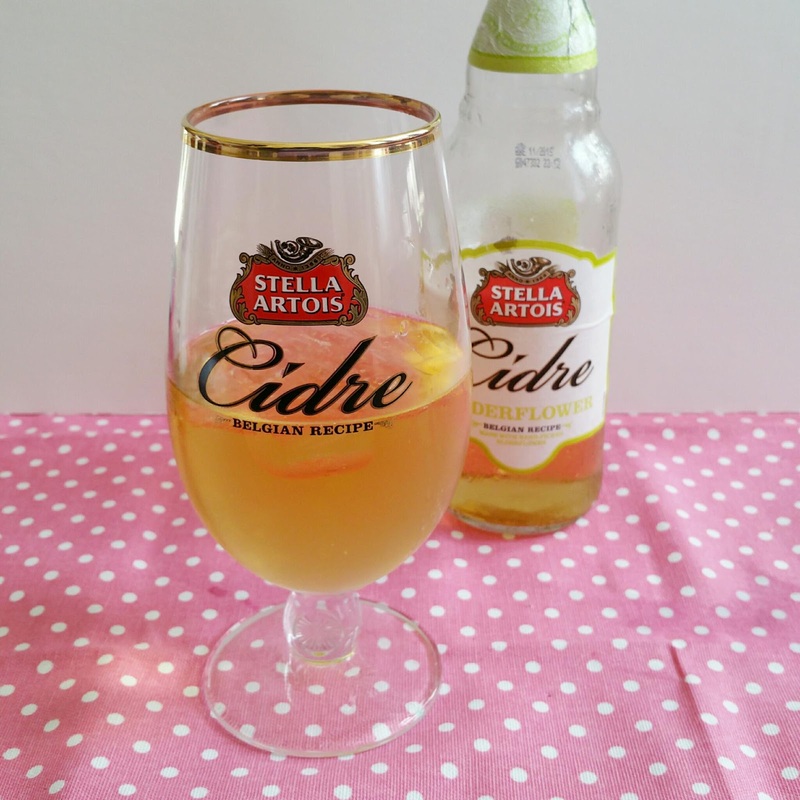 Have you tried Stella Artois before? What is your favourite flavour?